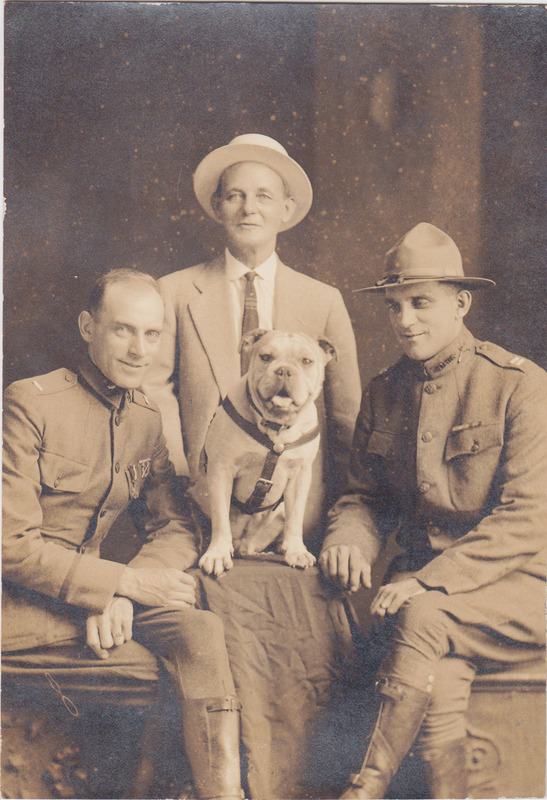 This exhibit will commemorate the centennial of America's involvement in World War I, featuring artifacts from the permanent collection, and community members, celebrating those who served from Stark County, Ohio. 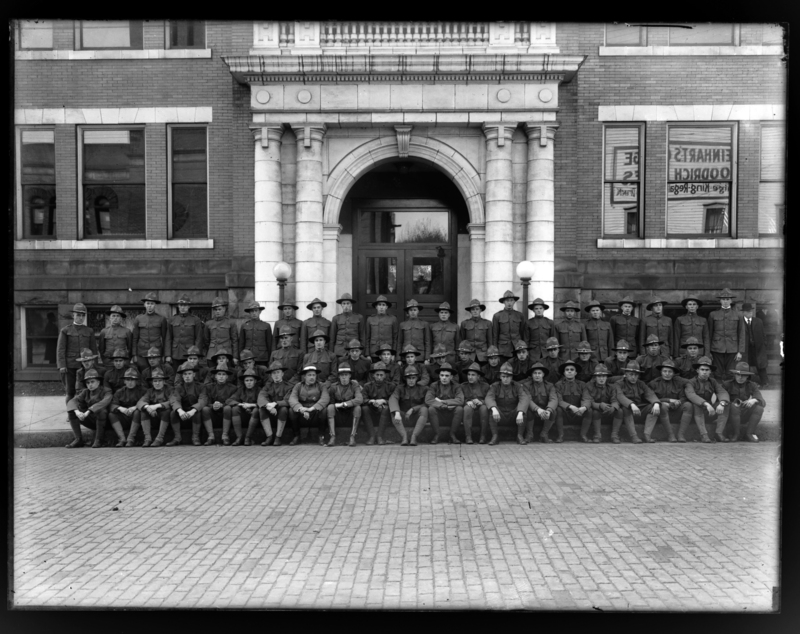 The men posed in front of city hall, 1917. 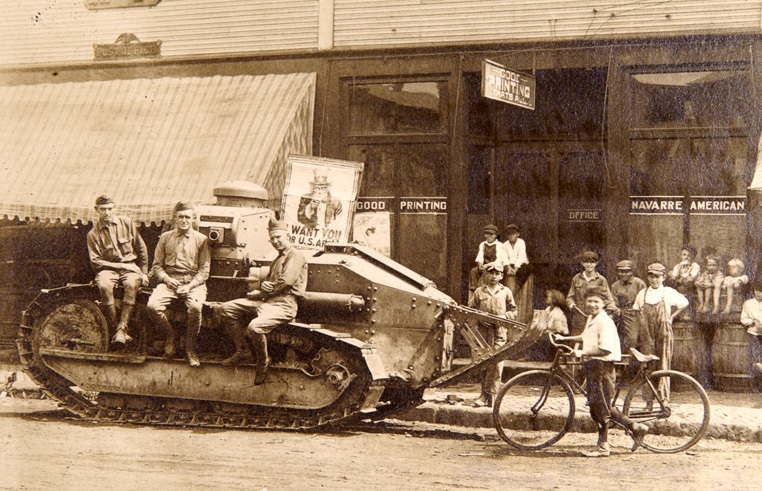 Experience the human hardships and triumphs of World War I in a patriotic program which includes poetry, a dramatic play Dear Mother by Sandra Perlman based on the WWI letters of Charles Vernon Brown and his family, music, a reunion, and more. MassMu galleries will be open before and after the performance, 1:00-5:00pm. 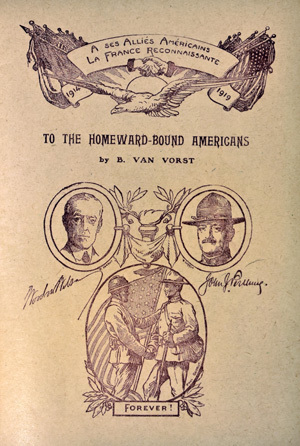 Complements the Stark County in the Great War which closes following the performance. 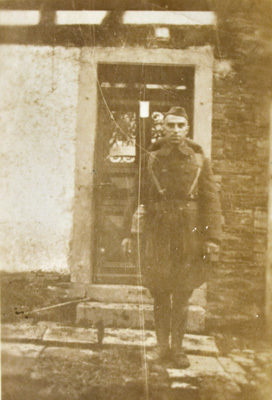 There are World War I draft card research databases available through some Ohio historical societies, and the National Archives. 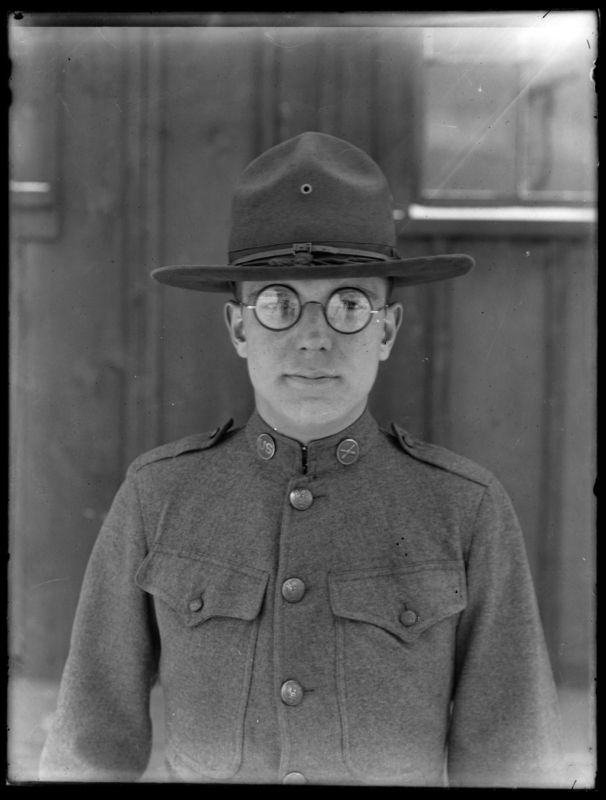 Click here to conduct a search for soldiers who served across the United States in World War I. 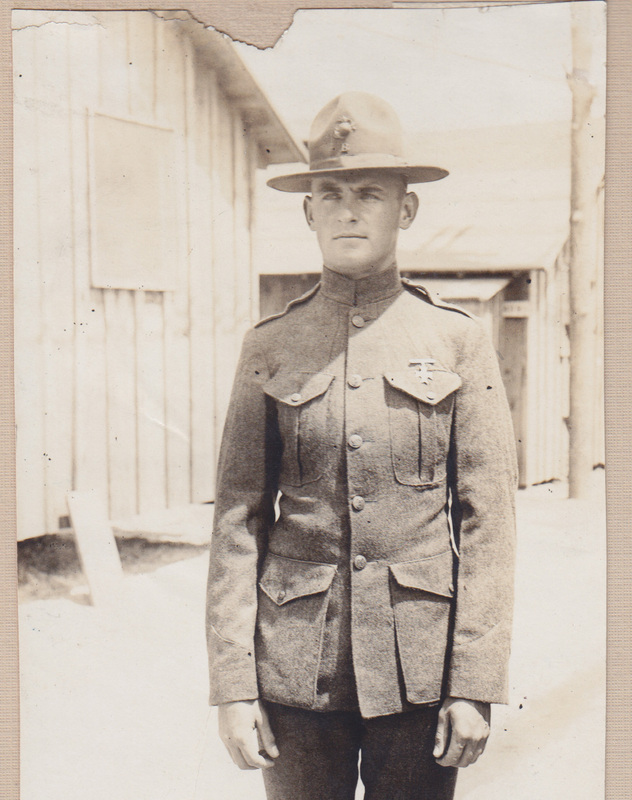 More than 580 pages of information about soldiers (including biographical information and photographs), full details of Regimental biography, information and photographs of businesses from Stark County, and service organizations. Enjoy audio interviews with a variety of subjects. Perspectives of the conflict include Marine and Army soldiers, a 9-year-old boy, a Swiss immigrant, and a group of soldiers sharing their experiences. 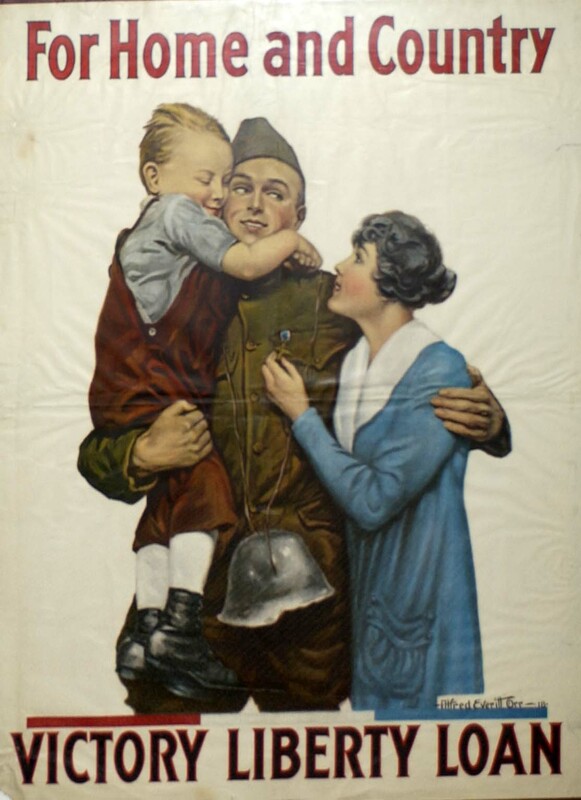 The Massillon Museum preserves more than 50 World War I propaganda posters in the archives. Some use scare tactics, some tug at the heart strings, and some remind Americans that everyone must play a role. 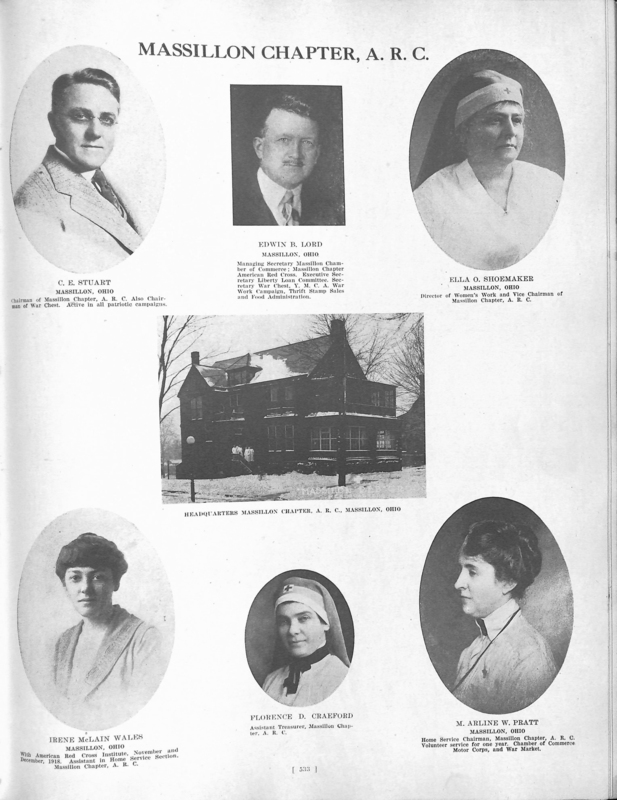 Upon America’s entry into the First World War, the American Red Cross underwent rapid growth as a humanitarian organization. 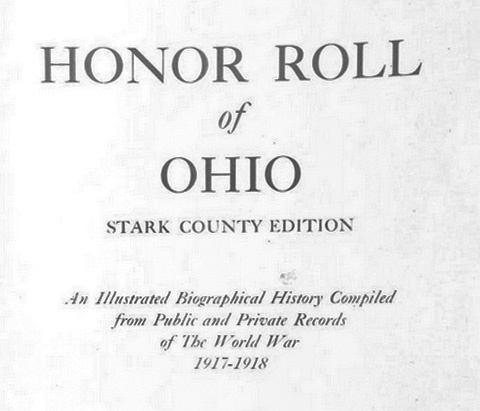 Stark County’s chapters—Canton, Alliance, and Massillon—reflect the vigor of this period. The chapters performed activities such as creating bandages and comfort bags. 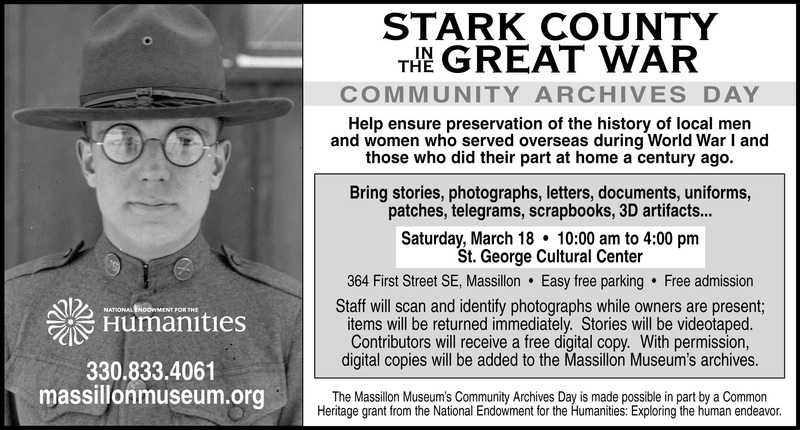 Read more about Stark County's contributions and see photographs from Massillon's chapter.